The IRS has mistakenly made 1000′s of social security numbers public. Isn’t that special. What is wrong with this organization? Now they are publishing our private information? Whether the IRS was acting in an illegal and corrupt manner in purposely targeting conservative and Tea Party nonprofit groups or whether they are mistakenly making social security numbers public, one thing is for certain … the IRS is a complete disaster and needs to be dismantled once and for all. The IRS has become too big, too powerful, to malicious and too sloppy for “We the People”. The incident involves the unwitting exposure of “tens of thousands” of Social Security numbers, according to a recent audit by the independent transparency and public-domain group Public.Resource.org. The identifying numbers were on the Internet for less than 24 hours after being discovered, but the damage was done. And unfortunately, the data-breach concerns some of the most sensitive types of transactions: Those made by nonprofit political groups known as 527s. Every so often, 527s have to file tax forms to the IRS, which then get added to a database. The database itself is hardly a secret; the IRS has been sending updated records routinely to Public.Resource.org and other public-interest groups, and it’s a favorite among political reporters. 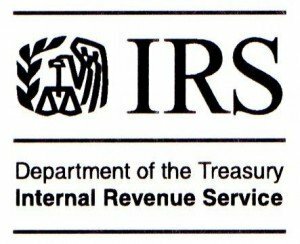 But when the IRS told the group’s founder, Carl Malamud, to disregard the Form 990-Ts included in the agency’s January release, he took a closer look at the files in question. The Lonely Conservative ponders “if the victims of this supposed slip up were conservatives”. Yup, and these folks are the one’s who are supposed to administer the implementation of Obamacare. Good grief. The IRS is too big to succeed. UPDATE I: IRS mistakenly posted 100,000 Social Security numbers to gov’t website. The IRS mistakenly posted the Social Security numbers of tens of thousands of Americans on a government website, the agency confirmed Monday night. One estimate put the figure as high as 100,000 names.